Ian is the co-founder of TVbet.co.uk and can be seen sharing his views on all matters football. Whether it be English or South American- Ian has an eye for statistics and facts which he puts to good use when writing match previews and news articles. Being a Chelsea fan since birth (not just the Abramovich era) Ian understands the highs and lows supporters endure while following their team, and is an all-round passionate football writer. As an ex employee of Ladbrokes (many moons ago), there is not much Ian doesn’t know about betting odds, multiple bets, bookmaker margins and all things sports betting related. He has a keen eye for value and very often unearths some true betting gems. Liam has had work published by a variety of outlets including Goal.com and FHM. He also writes for screen and radio. Additionally, he performs stand-up and recently came 6th in a national joke writing competition. He is a West Ham fan and joined the TVBet team in August 2013. His expertise includes football, darts, and a number of other sports, all of which he likes to bet on. Dylan possesses 10 years’ experience within the journalism arena, focusing on various sports but with particular emphasis on horse racing and football. 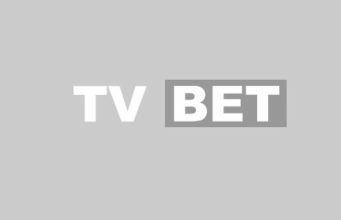 In addition to contributing to TVBet, Dylan currently writes for the UK’s leading racing ratings organisation Timeform, and works as a digital account manager for a motoring website. Dylan aims to provide readers with insightful, enjoyable-to-read articles – and, of course, sound betting advice! Peter is multi talented and deals with the day to day running of the site as well as contributing with some very informative content. His forte is dealing with all things technical, making sure the website always runs smoothly. He deals directly with our partners, making sure that our readers are always first to find out the best sports betting offers and promotions. Pat is one of our resident tipsters, and it’s pretty rare to see him without a copy of the Racing Post and a football coupon under his arm. Thrust into the sports betting world at 18 (just a few years ago) he has landed some major betting coups, and strives to share his valuable information with our readers. Emily is our ‘novelty’ bet specialist. She is most comfortable when one of Big Brother, X-Factor, Britain’s Got Talent, Dancing On Ice or another of the reality shows is airing. Emily has an amazing ability to read the public’s mind and has been very successful with her television events bets. Jimmy has travelled the world in the name of sport and is a key member of our team. Being the most mature member of our cast (I didn’t mention old!) he really is a font of knowledge when it comes to all sports. Most likely to be found contributing in our sports news category, Jim is really one of the old school, and was having a bet before most of us were out of short trousers!